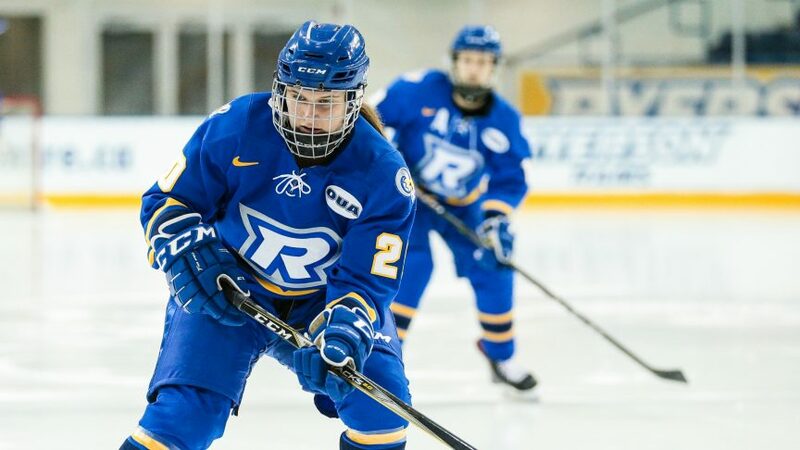 With the score tied at 2-2 heading into overtime, Rams forward Lauren Nicholson would score the game-winner, netting her team-leading 11th goal of the season to give Ryerson their fourth consecutive victory. Even though the Rams got the win, it didn’t come fairly easy. In the first period, the Rams got off to a slow start, as the Warriors converted on their opportunities. Two minutes into the hockey game, Warriors forward Taytum Clairmont found the back of the net to give Waterloo a 1-0 lead. In the middle stages of the period, Waterloo would add to their lead as Courtney Simpson scored her second of the season to make it 2-0. Unfortunately for the road team, the Rams would eventually wake up as the game went on. In the second frame, forwards Mariah Hinds and Olivia Giardetti led the charge in a period in which the Rams outshot Waterloo 13-3. Hinds wired a shot from the point, while Giardetti had the equalizer on an odd-man rush to even the game up at two. After 40 minutes of an offensive and entertaining style of hockey, it became more of a defensive game in the third period. In the final frame, both goaltenders in Fanny Vigeant and Amanda Smith continued their incredible performance, combining for 18 saves (9 saves each) to keep things tied heading into overtime. Halfway through the period, Nicholson would end the game on a top-shelf snipe to give the Rams the victory and a 10-5 record on the season. UP NEXT: The Rams will have little time to rest, as they travel to St. Catharines to square off against the Brock Badgers on Jan. 26. Puck drop is scheduled for 7:15 p.m.